A second generation of the Surface tablet has been rumoured for some time, but we're now hearing that the reveal could be very soon - this June, in fact. The announcement is expected to come at the Build Developer Conference, which will take place June 26-28, where more information on Windows Blue will also be revealed. The word comes from supply chain sources claiming to have been shipping components to Microsoft from the end of 2012. The sources also told Digitimes that the new Surface devices will come with a 7-inch to 9-inch display, smaller than the current version, which would see it competing with the iPad mini and Nexus 7. There's also a good chance we'll see some Xbox crossover that could means Microsoft's new tablet - or at least a version of it - will also be gunning for the likes of the PS Vita. It's been rumoured that the next Surface will be very gaming-focused, and if the new announcement does happen this June, it will be in the same window at the new Xbox reveal on May 21. 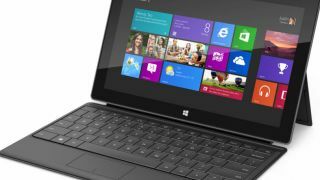 So will it be a separate Surface device or will Microsoft roll all the gaming and user into one slate? We expect a few more hints may drop come May 21.